As a fleet manager, one of the biggest challenges you encounter is keeping your trucks on the road, while maintaining their overall health. You know that your trucks need regular maintenance and services, but what if there was a way for you to access health reports of your entire fleet while they’re out running their routes? Think of the money (and time!) you could save by prioritizing repairs, avoiding unnecessary service visits and of course preventing costly unexpected downtime. 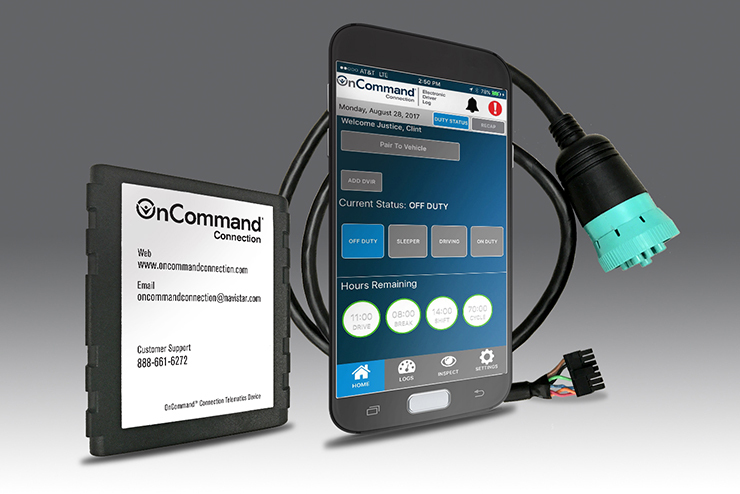 OnCommand Connection puts an ELD, telematics and advanced remote diagnostics all at your fingertips. Whether you need a real-time health check of your rig or you’d like simplified fuel tax reporting, you can do it through a using a smart phone, tablet, laptop or desktop via an online dashboard. In order to maintain and grow your profits, you need to keep your trucks on the road as much as possible, which is much easier when you can see the condition of each and every truck in real-time, as they run their routes. The OnCommand Connection Advanced Remote Diagnostics dashboard gives you a live overview of fault codes as well as other important information. Diving into the fault codes will allow you to examine the problem, plan and prioritize future repairs to avoid a major disaster that could have your drivers delivering their load late. You just found out that one of your trucks needs some attention. Now what? 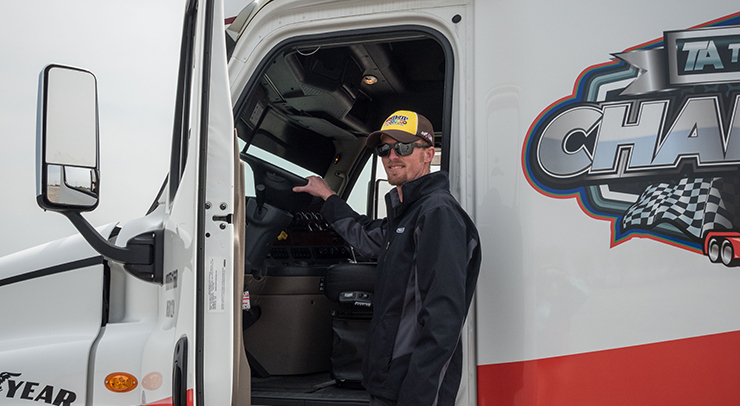 OnCommand Connection can help you get the repair process started with more than 18,000 action plans and recommendations of repair solutions that will get your truck rolling. With drivers often in unfamiliar places across the country, it can be hard to find a nearby facility to check out the vehicle. With interactive mapping features, however, it takes seconds to locate the exact location of the troubled truck, and nearby service locations or towing facilities to get the rig repaired and back on the interstate. With the ELD mandate looming, having an easy to use method of electronically logging hours is more important than ever. OnCommand Connection offers straightforward hours of service monitoring, plus automatic auditing to tell you how much time you have left and notifies you of an alert or upcoming violation – before a state trooper does. As a professional driver or fleet manager, cost control is a priority and every maintenance service or repair must be evaluated with a critical eye. OnCommand Connection understands and has created a one-price solution designed to save your fleet time and money. Each device even comes with two years of service – all included. That’s right, dodge unwanted and unnecessary visits to the shop, conform to upcoming ELD mandates and keep the focus on growing and increasing your profits. Plus, the OnCommand Connection equipment is compatible with all truck makes and models*, making it easy and efficient to manage your fleet. Stop by any of the TA Truck Service locations from coast to coast to purchase your OnCommand Connection solution. With your purchase of the device and installation, you’ll be eligible to upgrade your UltraONE membership to the Platinum level! Find a TA Truck Service facility near you. *Certain makes and models may require a different connector or cable other than the provided, standard, SAE approved J1939 connector and cable. To learn more about whether or not your vehicle is supported by the included cable please call 888-661-6272 or email oncommandconnection@navistar.com.